Property 6: Historic Marigny Lofted Cottage Open Floor Plan WALK to Frenchmen St & Fr.Qrt. Property 7: 2-Story New Orleans Guest House-Walk to Streetcar! Property 8: MARGINY'S SLICE OF THE CARIBBEAN --CHARM, CONVENIENCE AND COMFORT!!! Property 12: Newly Refurbished Cottage In The Heart Of The Marigny, located in a cat club. Property 15: Bywater Home w/ Garden | Walk to French Quarter! Property 34: DESIGNER ART LOFT NEAR FRENCH QUARTER & FRENCHMEN--AWESOME LOCATION! 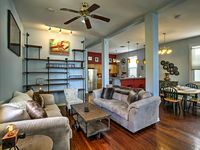 Property 36: Uptown Cottage...Experience New Orleans Like A Local! Property 39: PEARL ST. GUEST COTTAGE OFF ST. CHARLES,30 NT. MIN. 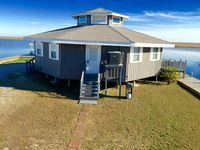 Property 42: NOLA Creole Cottage - 5 Miles to Bourbon Street! Property 48: Fishing and Hunting Paradise! Convenient to New Orleans. Property 49: Experience South Louisiana Nature on the Bayou In This Private, Gated Estate.